The Cleveland Cavaliers just wrapped up their season, with their last game on Tuesday, April 9th. The Cavaliers played the Charlotte Hornets at the Quicken Loans Arena and lost 97-124. This game was particularly special because it was fan appreciation night. 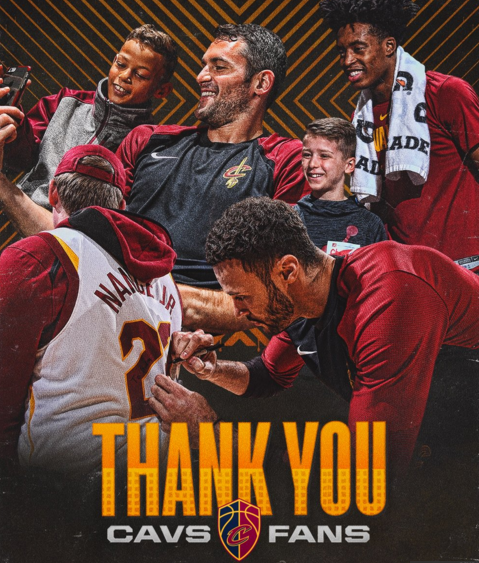 At the game, the Cavaliers gave away over 1 million dollars worth of prizes, including a backpack for everyone in attendance. This game was also pretty special because this was Cleveland Cavaliers’ Channing Frye’s last game ever. Channing Frye has played 14 seasons in the NBA, including 4 seasons with the Cavaliers. Channing Frye was also part of the 2016 Championship team. The Cleveland Cavaliers finished with a record of 19 wins and 63 losses. The Cavaliers are currently tied with the Phoenix Suns as the second worst team in the NBA. Although this does not sound too good, this is a good thing for the NBA Draft lottery. For the NBA Draft, the first four picks are chosen from a lottery. The worst teams in the league get the highest chance to get chosen for these picks. The three worst teams each have a 14% chance of getting the number 1 pick, the next worst has a 12.5% chance, then 10.5% chance, and so on down the line to the 14th worst team with a .5% chance. The NBA Draft lottery will take place on May 14th, so make sure to tune in to see what pick the Cleveland Cavaliers end up with.